In 2014 there will be a referendum. The Scottish people will vote on whether they want out of the United Kingdom; and their affairs run from Edinburgh not Westminster. For the casual observer, and those who don't know their history, then it must seem like England won some ancient war and took control of its northern neighbor. The truth is quite the opposite. It was a Scottish king who first united the British nations, with himself as ruler of them all. So how on Earth did Scotland end up so dispossessed? It didn't grasp the quieter way of conquest, until it was too late. 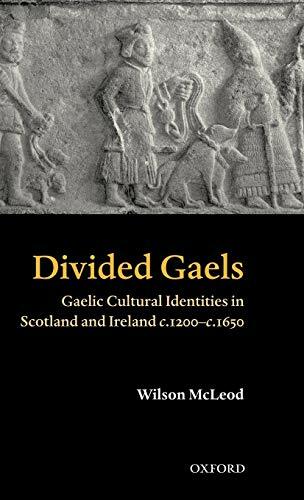 Learn about how Gaelic national identity survived until the Stuart period. King James, a Scottish king, was largely responsible for its demise. Raising armies and seizing power is only the beginning. Foolish imperialists stop there. The English perfected ways to remain long after the Empire was gone. Throughout human history, nations and tribes have conquered those states and races unable to fend them off. Great empires have risen and fallen with depressing regularity. Some have left their legacies in bits of language, architecture, useful shavings of culture or ways of doing things. But while the indigenous people survive their passing, with their own customs and norms intact, then they were never truly conquered. Their prospective overlords are merely fleeced for the best that they have to offer, then quietly outlived. The English are masters of the great imperial game. Lessons in nationhood were learned from both sides of the coin. They were just one of an initial wave of Germanic tribes, who swept through the country from the 5th century. Who remembers the Jutes and Saxons now? The English insisted that the country and language were named for the Angles; and they won the long war. Vikings, Norse and Northmen came and succeeded in claiming the country by the time Canute was on the throne. The Normans took it all. Yet the nation is still called England. The language survived. The conquerors were assimilated. The English lost the Battle of Hastings, but won the long war. These were tactics which they did not intend to see used against themselves. Throughout the British Empire, colonial representatives kept their English ways even beyond all apparent rhyme and reason. Then they imposed their culture upon the natives. It's insurance. A surety that, even when the conquerors and colonists are kicked out, that germ of culture remains. It makes it much easier to return in the future, waving the olive branch of trade and commerce. There are more ways than one to take over a people. Yet there had to be a training ground; a place where mistakes could be made and tactics refined. For England, this has undoubtedly been in the Celtic nations surrounding it; and nowhere is there a better example than what happened to Scotland in 1603. 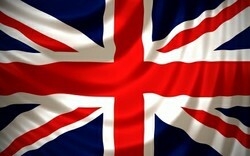 There is a tried and tested way of a nation gaining a permanent foothold in another country with a view to taking over. Northern Ireland was where it was tried and tested. Let it be pointed out and reiterated time and time again - the English did not conquer Scotland. But they did assimilate its king. When the facts are considered out of context, then England should have been ruled from Edinburgh. The dominant force in the United Kingdom should be Scotland. After centuries of the English trying to invade and rule the country, it was ultimately the other way around. The English queen died without an English heir; and her successor was the Scottish monarch. James VI of Scotland now had control of the country which had executed his mother. The whole weight of history between those two nations should have come to bear upon the Jacobean reality. The ghosts of William Wallace and Robert the Bruce stood behind him, basking in Scotland's finest hour. Instead, the Jacobean court was allowed to relocate to London. While the Scottish ministers and people were still feeling smug about the turn of events, the entire English establishment was moving to assimilate their king. England would emerge victorious, because it knew what was needful to do so. In many ways, it was too easy, because it was pay-back on earlier cultural insurance. 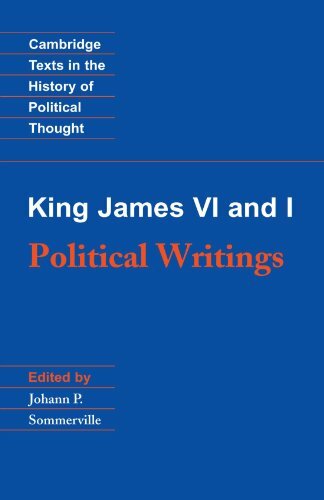 King James was Scottish, but he didn't speak a word of Gaelic. In fact, he disdained the clans and the culture of the Highland Gaels. His mother tongue was English. He was a Protestant. The very fact that he was Elizabeth's successor shows how closely the two royal houses had intermarried. Within six years of being on the English throne, he was taking steps to start cultural genocide in Ireland. Within another decade, he had attempted to ban Gaelic in the Highlands of Scotland. This was a Celtic king, used against his own heritage, willingly imposing Anglo-Saxon values instead. Past English intervention had ensured it all. The Jacobean ruler undoubtedly turned against his own native people. That wasn't all the fault of the English. His childhood and early adulthood had been frightening times. It was pure accidents like this which would have taught England some important lessons about conquest and culture. In 1290, hardly any Scot spoke English. It was confined to a few small towns right on the Scottish-English border. A century later, the Gaelic language had largely receded into the mountains, never to return. Though the Scots didn't realize it at the time, this was the moment when their national independence was doomed. They could have been forgiven for thinking it was the Plantagenet king with the big army before them, which is an easy mistake to make. At the time, Scotland was in the midst of a succession crisis. The king and his heir were both dead and there were fourteen claimants for the throne. In a moment of supreme stupidity, a council of peers asked King Edward I of England to mediate. Being Edward I, he simply invaded instead. But that wasn't it. Edward's reputation for Celtic conquest has survived the ages, but he never quite understood the long game. He thought that winning wars and building castles was the way to own another nation. Which is why, in Welsh speaking Caernafon, his castle is now a tourist attraction; and his statue above the door is utterly defaced by generations of Welsh bricks lobbed at it. Edward spoke French at home. The inability of most British people to formulate even a sentence in that language is testimony to how well he really conquered or ruled any of us. It was actually Edward's brutal disdain for all in Scotland which secured the English language there. Those down in the borderlands had expected special privileges for being more like his people. He treated them as harshly as the Gaelic speaking majority. For the first time in history, an English speaking people declared themselves to be Scottish as a result. No-one would have countenanced the two together before. The Scottish Wars of Independence finally got rid of Edward I, but not his legacy in royal burghs and governmental administration. These delineated areas were much easier for the Scottish monarchs to administrate than what had gone before, so they kept them. In the wake of so much social upheaval came opportunities for commerce in the new burghs. That attracted French, Flemish and English immigrants, none of whom spoke Gaelic. Those who commanded the best deals were the English speakers, who had so recently self-identified as Scottish. So the Gaels in the Lowlands used English too; until it became the language of trade, then permeated the rest of society. It felt like a golden age of peace and prosperity. Those making their fortunes in the burghs felt so sophisticated, and much more superior to the rural folk in the fields and mountains. 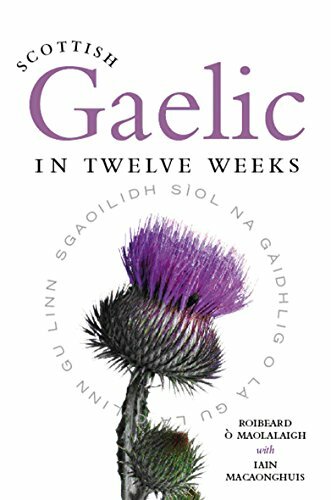 Gaelic became viewed as the language of the socially inferior and, with that attitude, an important guarantee of Scottish national identity was lost. 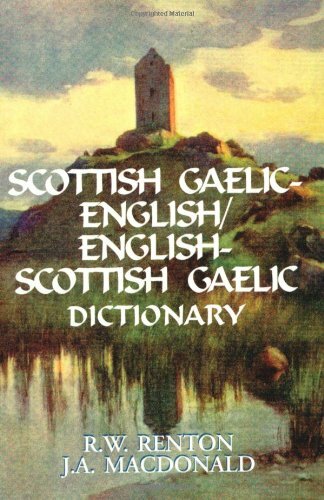 Every word you speak in the native language of the Scots is a blow against cultural genocide. It's been under sustained pressure to simply go away. 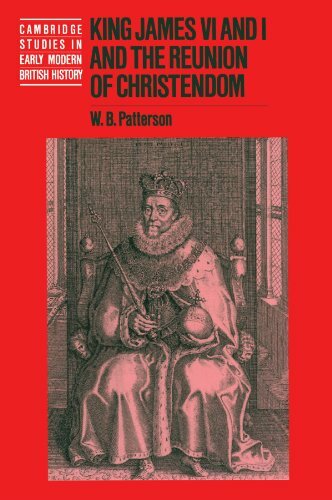 England did not introduce the Protestant faith into Scotland. But the Tudors ensured that it would reign supreme there. So often in Scottish history, the problems arise because of a too young monarch. In this case, it was Queen Mary who was only an infant. Scotland was Catholic; and so was its Regent, Mary of Guise (pictured), mother of Mary, Queen of Scots. She was also French, and a member of the powerful de Guise family in Lorraine. As a result, most of her ministers were men shipped over from the homeland, rather than the traditional Scottish nobility. Moreover, her daughter, the Queen of Scotland, was now married to the French Dauphin. She would also become Queen of France. This did not bode well for the future. 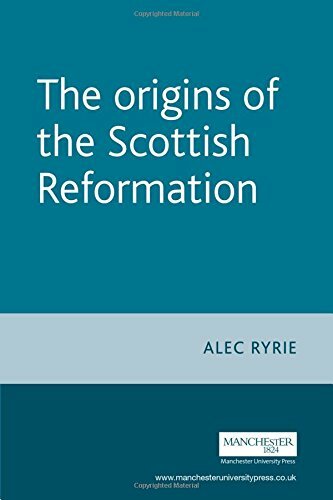 There were Protestants in Scotland before all of this, and they were growing in number sufficiently to cause some alarm in the early 16th century. Lutherans had been burned at the stake as heretics; and their prayer books were banned. Mary, Queen of Scots, had become betrothed to the future King of France because of Henry VIII of England's 'rough wooing'. He had wanted Mary married to his own son, Edward. When that was rejected on religious grounds (Henry VIII had broken with the Catholic church), the response from England was to attack. Whole regions of south-east Scotland were devastated by the English armies (swelled as they were with German and Spanish mercenaries). The Battle of Ancrum Moor brought an end to it, with a Scottish victory, but it felt temporary to Mary of Guise. She sent for help from France and it arrived. But in return, she had to agree to her daughter marrying the future Francis II of France. Scotland's tiny queen was packed off to be raised in France. The Scottish nobility despaired of ever regaining their traditional positions, in the government of their own country. Anti-French feeling ran high. 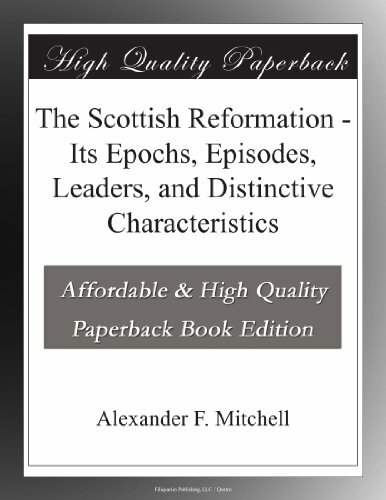 The Scottish Reformation did not happen overnight. It took until the reign, in England, of Queen Elizabeth I for boiling point to be reached. In order to break the dominance of France over Scotland, some nobles looked to England for assistance. For a while there, in 1559-1560, both English and French troops had congregated in Scotland. A peace treaty was eventually agreed upon, which provided concessions for each side. All that the English really wanted was the ability to choose Scotland's Parliament - which looked, to onlookers, precisely what the Scottish nobility wanted. It kept the French out of power there. Neither the Scottish nor French negotiators saw what was coming. As soon as the ink was dry on the Treaty of Edinburgh, England installed a totally Protestant Parliament in Scotland. 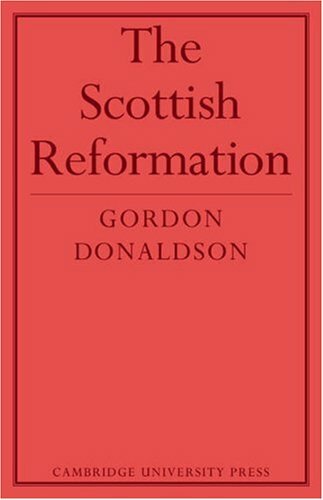 It kick-started the Scottish Reformation, which side-lined, then persecuted the Catholics in the country. It forced Mary, Queen of Scots to abdicate; and it ensured that her son, James VI of Scotland, I of England, was raised as a Protestant. English policy had now not only secured its language and administrative ways in Scotland, but now its religion too. Moreover, this was at odds with the spiritual beliefs of the majority of Scots alive at the time! With the change in its state religion, the monarchy and government in Scotland merged in all traditional and cultural ways with its counterparts in England. Scotland sent an English king to take over England. Then seemed shocked when he favored the English. No-one can call a country conquered, until those on the streets look and sound like its conquerors. In language, religion, tradition and administration, King James VI was English before he ever took England's throne. His own country's native tongue was disdained in the lowland, where power was held. It was consigned to the Highlands, where the Gaelic clans were viewed as somehow lesser Scots. Nor did his religious beliefs chime with the vast majority of his Scottish subjects. In the cities and 'sophisticated' society, the population tended to follow wherever the monarch and nobility went, in terms of culture. They followed suit. But out in the countryside, Catholicism still held sway. There was nothing left of Scotland, in all important aspects, by the Jacobean era. 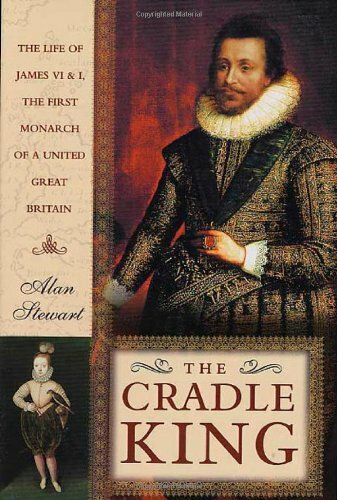 The one saving grace would have been to ensure that King James VI had loyalty to his homeland. But that didn't happen at all. 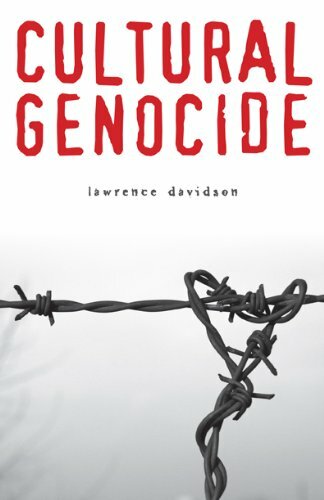 He grew up in terror, as so many of his forebears had been executed and/or exiled. He was subject to constant beatings, so that he wouldn't grow too big for his boots. He was confronted consistently by intractable Scots nobles, who hindered his rule at any opportunity. On a very personal level, James was pleased to become James I of England, and to uproot his royal family into a country with a lesser history of usurping the crown. As for the English, they were happy to welcome him with open arms. Past cultural insurance had made him look and sound English. The long battle was won. Buy these histories and guides to learn more about true Scottish culture, when it's not been eroded by English language and ways. I'm glad that you thought so. 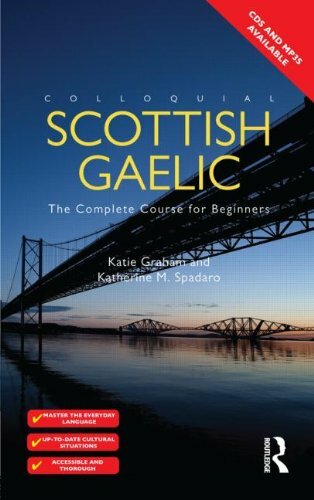 I'd love to hear Scots Gaelic widely spoken again. PS I've just realised where you're from. I've only been to your city twice, but adored it both times. I would love to come back again sometime. That's a very insightful article - and one which would surprise (and hopefully educate) the large majority of Brits - Scots and English alike. It's too hard not to view her with a modern outlook, but then there were other strong women at the time. Elizabeth for a start. I know that she was in terrible circumstances, but her response was equally terrible. James VI of Scotland and I of England is the same person at least! I'm never sure whether to feel sorry for Mary, Queen of Scots, or roll my eyes at her weakness. She never seemed to be able to grasp control of her fortunes, despite being perfectly placed to do so. Wilfred Owen called that old lie from the trenches of World War One - dulce et decorum est pro patria mori. (It is sweet and right to die for one's country.) The reality is the narrative that history will always teach us. What it means to be patriotic changes from age to age, and depends upon what most benefits those making the rules. Perhaps I'm one of those cynics whom you mention.